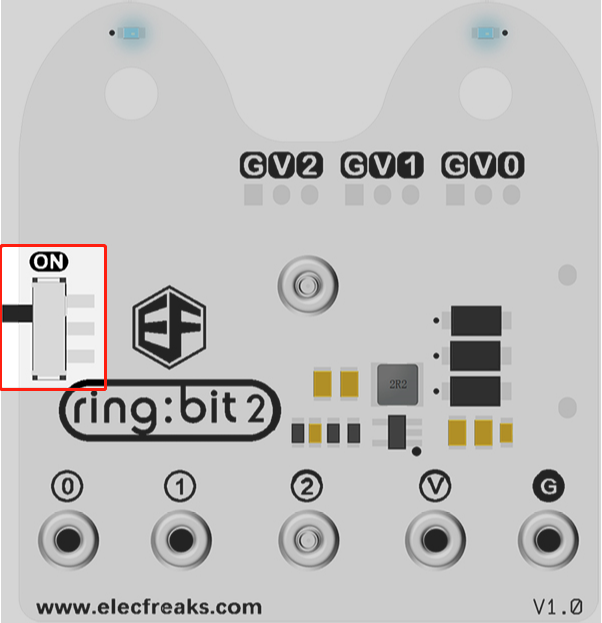 The Ring:bit expansion board is a simple PCB for the micro:bit. The Ring:bit extends the micro:bit's 3 GPIO ports. We will use this module to convert the P0/P1/P2 port to the common GVS port. It can be loaded 3 AAA batteries to drive the car or other components.